Crossing another non-fiction book off my TBR list, this reading again combined history with another one of my favorite things: baseball. I also just so happened to pick it up at the perfect time to carry me right into the start of Spring Training! One of the things that I like about the baseball season is that it serves as a steady constant throughout much of the year, providing daily news and entertainment throughout the spring, summer, and (hopefully) most of the fall. This is a sentiment shared by the author as well, who from that perspective looks at what happens to the fun and distraction of the game when it is being played in a time of historic unrest and change. 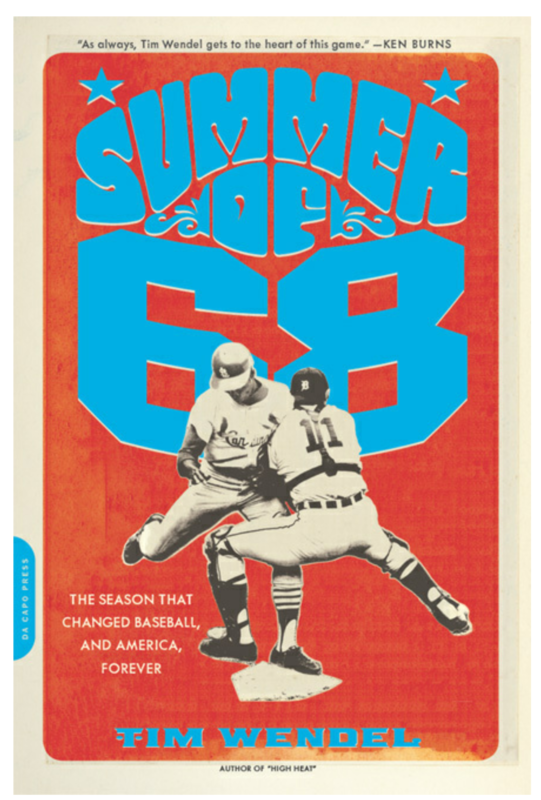 In Summer of ‘68, he uses the 1968 baseball season, in particular the paths of the league champion Detroit Tigers and St. Louis Cardinals, as a lens through which to look at the tumultuous events of the year and highlight some of the drastic changes occurring in society, sport, and media at the time. I really enjoyed this book and found it very informative without being overly dense. I’ve actually spent a good amount of time studying 1968 from various historical and activist perspectives, but never really thought about any of that as contemporary to what I knew of the year’s baseball season. Having not been there I lacked the context needed to put these two worlds together, and providing this connection was something at which the author excelled. His use of anecdotes and interviews throughout the narrative gave clear voice to the people who were there and really drew the reader into the scene, regardless of whether that scene was stepping into the batter’s box against Cardinals’ ace Bob Gibson or watching the police riot at the Democratic National Convention in Chicago. Easily the most moving part of this book for me was the lengthy recollection of Martin Luther King’s final hours followed accounts by the outrage that erupted in streets across the country several weeks later when Bobby Kennedy was assassinated. Setting aside the historical events, what surprised me the most in this reading was how directly the players were affected by everything that was going on in the world. It was common for players, journeymen and stars alike, to miss games weeks at a time to train with their Army Reserve units, a frustrating distraction for some and for others a very real reminder about the potential of serving in Vietnam. Also, in these days before free agency, players were, for both better and worse, more closely tied to their teams and cities than they are today. This was particularly true for the 1968 Detroit Tigers, a team that featured several players who grew playing with and against each other in the Detroit area. Hanging like a dark cloud over their season were the events of the previous summer, during which they saw their city erupt into one of the worst riots in American history while playing a doubleheader. In scenes nearly unimaginable today, two Tigers were themselves drawn directly into the chaos. Pitcher Mickey Lolich, the eventual 1968 World Series MVP, in the course of a day went from pitching for the Tigers to guarding a radio tower with his reserve unit. Elsewhere, outfield Willie Horton rushed from the stadium and, still in uniform, drove out towards his old neighborhood to plead with rioters from atop his car for them to go home peacefully. There was a very real sense in the Tigers clubhouse that the team had an essential part to play in keeping their hometown together through another summer. On the baseball side of things, I was really fascinated by how much the game changed after this season. Dubbed the “Year of the Pitcher” because of the many dominant starting pitching performances throughout the league, officials were concerned that the lack of offense would drive fans away to football, a sport deemed more favorable for viewing on TV and rapidly rising in popularity. As a result, the strike zone was tightened for the following season and the pitcher’s mound was lowered five inches to its present day height of 10 inches. The structure of the league would change in the next season as well, as four new expansion teams were added and the American and National Leagues were for the first time divided into Eastern and Western divisions. Finally, it was during the 1968 season that the seeds of two concepts that would revolutionize the game were planted. The first was Pitcher Tommy John suffering the shoulder injury that would ultimately lead him to get an experimental surgery that bears his name to this day. The second, and even more dramatic, change was set in motion by the Cardinals’ owners, who after losing the World Series, began dismantling their roster, typically something players have little control over. However, when they tried to move outfielder Curt Flood to Philadelphia a few seasons later, he resisted and instead sued Major League Baseball for Free Agency. Although he lost, his case did pave the way for a successful challenge shortly thereafter that would forever change player salaries and how teams were assembled. I could go on and on about all the interesting stories and bits of information I got out of reading this book. As it is I feel like I only managed to scratch the surface in my discussion above. The author provided an interesting and engaging account of the 1968 season and I highly recommend this book to anyone out there with an interest in baseball or American history. In an effort to lighten up my beer list a bit, I included in my last haul something on the lower end of the ABV spectrum. Description: A sessionable Pale Ale brewed with Citra hops and mixture of five different malts. Appearance: Poured a see-through golden amber body topped by a wispy bubbly white lacing. Smell: Faint hints citrus fruits and cracker malts. Taste: A little bit of citrusy sweetness to start, followed by light crackery malt and finally a huge rush of resinous blend of piney and earthy hop bitterness. Mouthfeel: It had a sticky, just shy of medium body. The carbonation level was slightly above average with a particularly effervescent finish. Hype: I picked up (and drank) this beer during the wave of Extreme Beer Fest brews that hit the Boston area a few weeks ago, so I guess slightly elevated? Overall: It was a decent enough low-ABV offering overall, but I personally found the finish to be a bit for my preferences much as the carbonation served to accentuate what was an already assertive level of bitterness. I know there are people out there that absolutely love that, so this one’s for them. Coming at you all with another Red IPA. I was recently reacquainted with the style after a long run of stouts and just couldn’t stay away from them any longer. 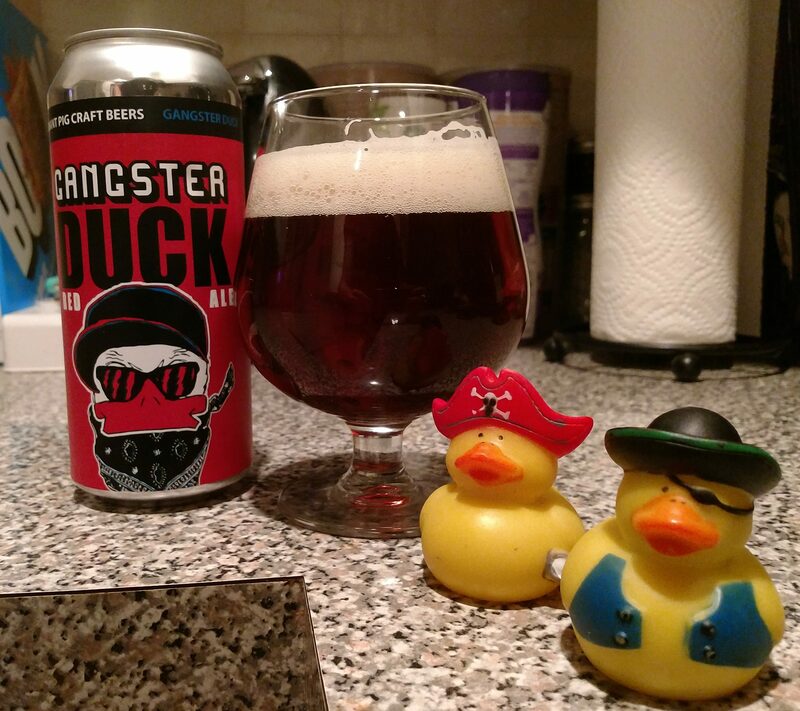 Description: On their website, the brewers mentioned borrowing from a number of styles to create this tasty red with a style all its own that is bursting with hops and smooth malts. The beer for this review was consumed about a month after the canning date. Appearance: Partially see through reddish amber body with a thick, foamy light tan head up top. Smell: Sweet and malty, with a subtle layer of piney hops. 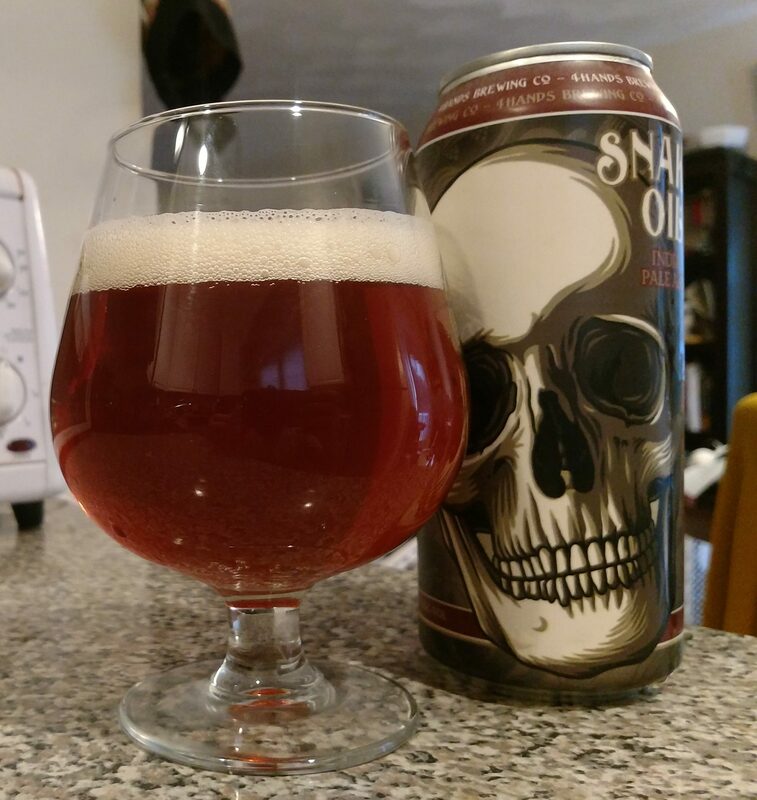 Taste: Started out with smooth malts that were soon followed by a biting grapefruit and pine bitterness. The finish combined crackery malts and a slight yeasty taste as the beer went on. Mouthfeel: Medium bodied with a moderate carbonation level. Hype: None I guess. All I knew about this when I bought the can was that I liked the name and style. Overall: It was alright. Not quite the flavor profile look for or expect in a Red IPA (I am admittedly very picky about this) so I was a bit disappointed in that regard. Otherwise, I would say this was fine, but not something I’d pick up again. 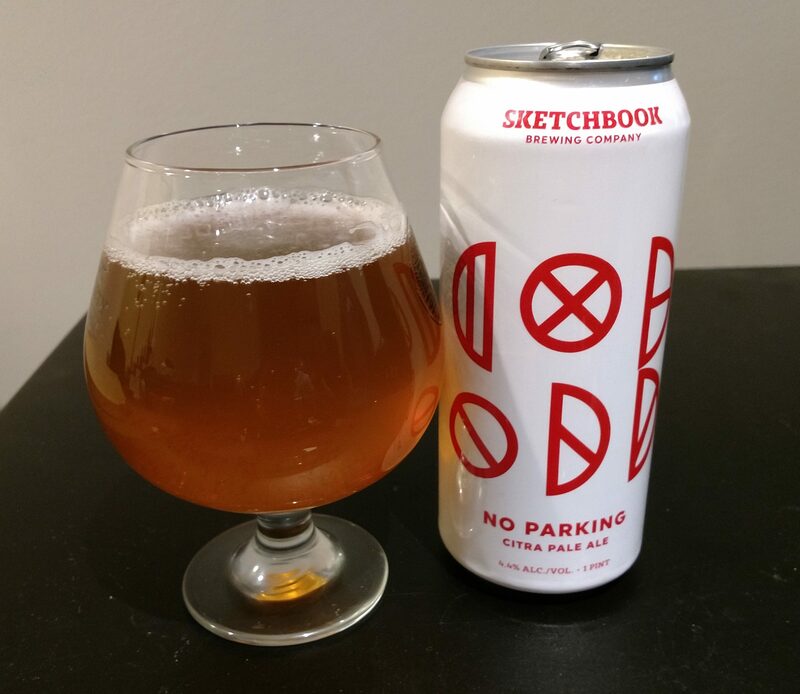 Another beer that initially caught my eye on account of the can art. Again I must ask the question, where was this when I wanted spooky Halloween beers? Description: Listed as a Red IPA that was brewed with a combination of American and Australian hop varieties and caramel malts. Appearance: Partially see-through reddish/amber body underneath a fluffy, slightly off-white layer of foam. Smell: Sweet with sticky pine hops on the end. Taste: Started out with a light tropical sweetness with a cracker and caramel malts backbone. Soon after, a pine resin bitterness slowly built up on the way to the finish, where it was joined by grapefruit. Mouthfeel: Sticky medium body with a moderate amount of carbonation. Hype: Slightly elevated I guess since I grabbed this during the rush of Extreme Beer Fest releases. I was even more excited when I got this home, however, and saw that it was not just an IPA, but a Red IPA. I have a not so secret thing for these. Overall: A very nice reminder of why I like this style so much, I enjoyed the complimentary interplay between the hoppy and malty aspects. I think this inspired me to go seeking out more Red IPAs once I get through my current haul. This is a beer that I feel like I should have had before I drank one for review purposes. I’ve long been intrigued by the style and the beer been available to me in the past, but for whatever reason it just never happened until now (or rather the other night by the time this post goes up). Description: The notes on the brewery website tell potential drinkers to [e]xpect lovely, warm smells of single malt scotch, oaky bourbon barrels, smoke, sweet caramel and roasted malts, a bit of earthy spice and a scintilla of dark fruit. Sounds good to me! Appearance: Dark reddish-brown body with about a finger of tan bubbly foam. Smell: Caramel sweetness coupled with hints of oak. Taste: Sweetness upfront, mainly in the form of caramel malts and subtle brown sugar. This started to fall off around half way through as oak barrel influences and a touch of heat came out. It tasted strong, but not quite 11.2% strong. Mouthfeel: Medium bodied and super smooth. It had just enough carbonation to be noticeable. Hype: Well regarded for sure, but not so much hyped anymore. One of my local bottle shops even mentioned that while this would fly off the shelves a few years ago, it now tends to be a bit easier to come by. 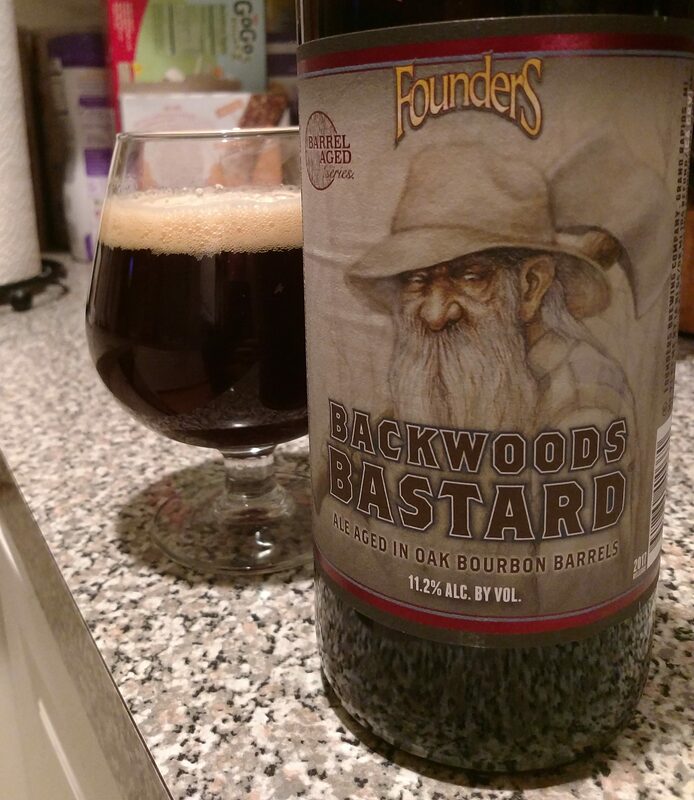 Overall: Warm and relaxing, I really enjoyed the mellow oaky sweetness. Great beer to spend an evening sipping. I am stepping outside of my science fiction and fantasy worlds for a bit to read something that touches on two of my favorite real world topics – history and beer. This book had also been on my TBR pile for quite some time so there was the added satisfaction of crossing it off that list as well. This book offers a brief look at the storied history of a Cincinnati neighborhood called Over-the-Rhine, a once vibrant district that fell on hard times in the early 1900s and never quite recovered. Over-the-Rhine rose to prominence in the mid-1800s after a huge influx of German immigrants forged a proud, hard-working community that played a key role in Cincinnati emerging as important trade center. Celebrated as a little piece of Germany in America, Over-the-Rhine captivated locals and tourists alike with its Germanic charm and the locally brewed lager that flowed readily in its many beer gardens and saloons. Unfortunately, these characteristics would ultimately serve to attract the wrong kind of attention as the rising tide of Prohibition and anti-German sentiments following the entry of the US into World War I would ultimately forever alter the characteristics of the neighborhood. I enjoyed this book and made short work of its 170 or so pages. It provided plenty of interesting information about brewing in the late-1800s/early-1900s and the influences it had on both the architecture and social fabric of the Over-the-Rhine community. I also found myself fascinated by the politics of the day and how the temperance movement leveraged its unlikely alliance of divergent groups (ranging from suffragettes to klansmen) to relentlessly pressure and gerrymander local elections to achieve their goals. The factors the author most strongly attributed to the rise of the Prohibitionist movement (religions zealotry, classism, racism, and rural resentment of the urbanization of American life) were all used at various times to target the German community in Over-the-Rhine and effectively organized it into a powerful, though occasionally controversial, voting bloc for any political candidates that valued individual liberty over temperance. As for the present, what little survives of the old Over-the-Rhine neighborhood sounds like an absolutely fascinating bit of history, especially all the old architecture and unearthed felsen tunnels used to age beer before the rise of artificial refrigeration. Bockfest sounds like a pretty good draw as well, though we probably won’t be taking any family trips there in the near future. 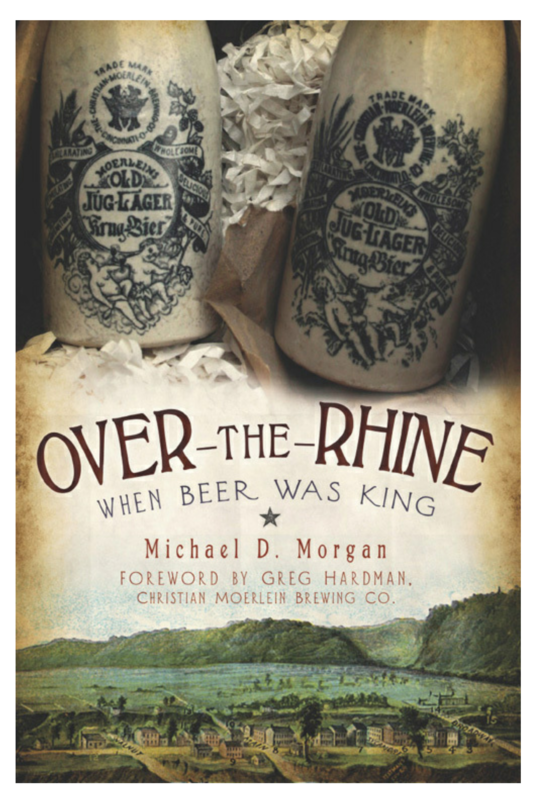 Regardless, I had a good time reading this book and certainly recommend it to anyone with an interest in either American or beer history. Looking back, this past weekend was pretty eventful in these parts between my birthday, the Superbowl, and all the work I had to do. Last weekend also saw Boston host the annual Extreme Beer Festival downtown. While I was not able to attend this year, I did do some birthday shopping to take advantage of the local bottle shops receiving some special distribution in honor of the event. Description: The brewers give this beer a (perhaps appropriately) dark, metallic backstory before going on the describe its blend of sweetness, charred malts, and locally sourced coffee beans. Appearance: Black body with a bubbly off-white head that was pretty quick to fizzle away. Smell: Slightly sweet with fresh brewed coffee lingering in the background. Taste: Freshly roasted coffee/espresso led the way, followed by a creamy sweetness that mixed notes of toffee and chocolate. A mildly roasty bitterness crept in on the finish and mixed with just a touch of heat as the beer sat for a few minutes. That heat, however, gave absolutely no indication that this beer was 10%. This was impressively smooth for a beer of its size. Mouthfeel: Medium bodied with carbonation levels hovering somewhere in between low and moderate. 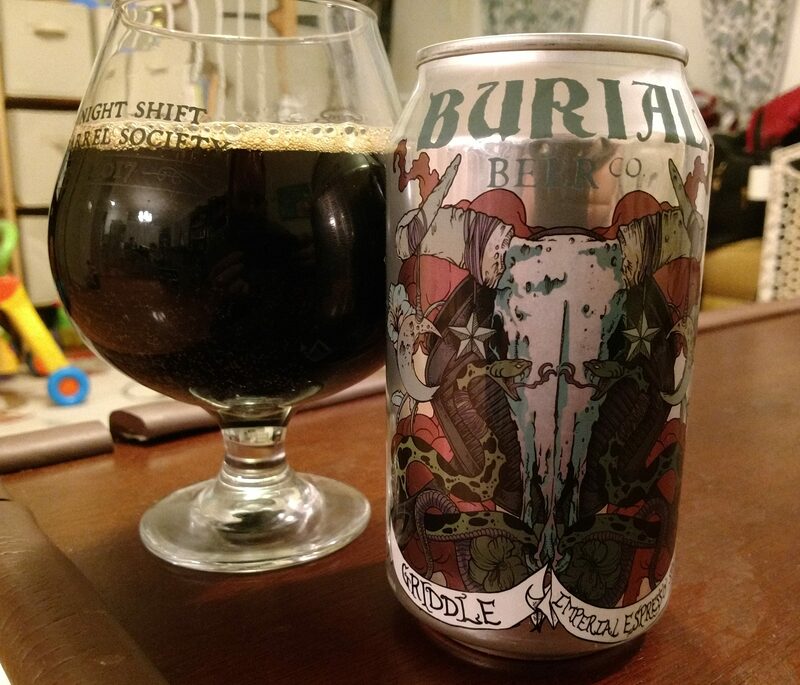 Hype: As alluded to in my intro, these cans sprang up with much fanfare in Boston-area shops. Delivery announcements came out fast and furious last week, with this brewery consistently being among the highlights. 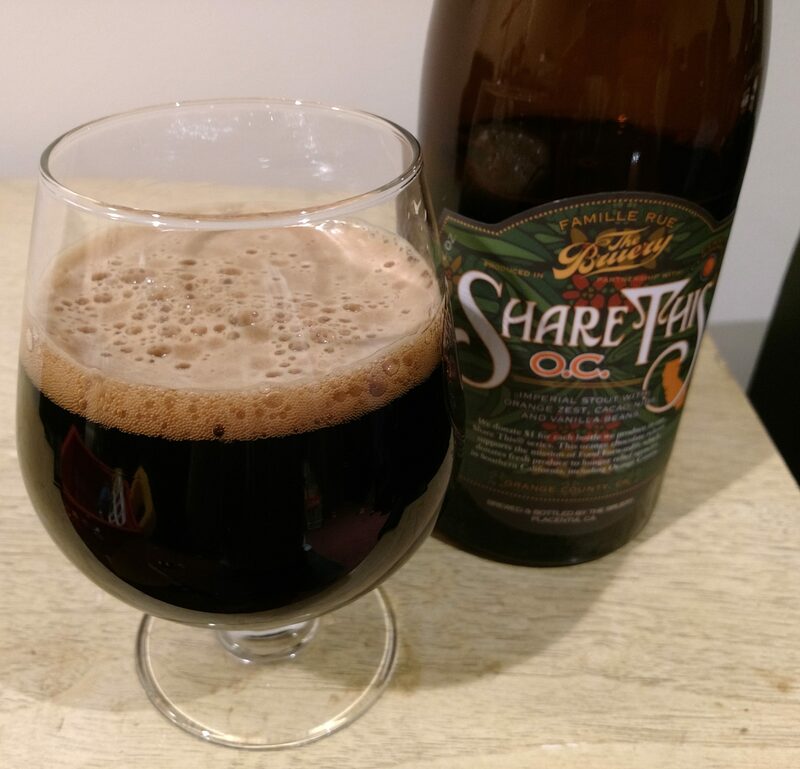 Overall: I was pretty surprised by the feel and overall mellowness of this beer, especially in comparison to many of the other higher ABV stouts I’ve been having lately. That said, once I got past my preconceptions, I found myself really enjoying this. A delicious mix of coffee and sweetness, it definitely delivered as advertised. Great pickup. I’m just going to assume you are all aware there was a rather significant football game played yesterday. What most people don’t know about yesterday, however, is that it also happened to be my birthday! 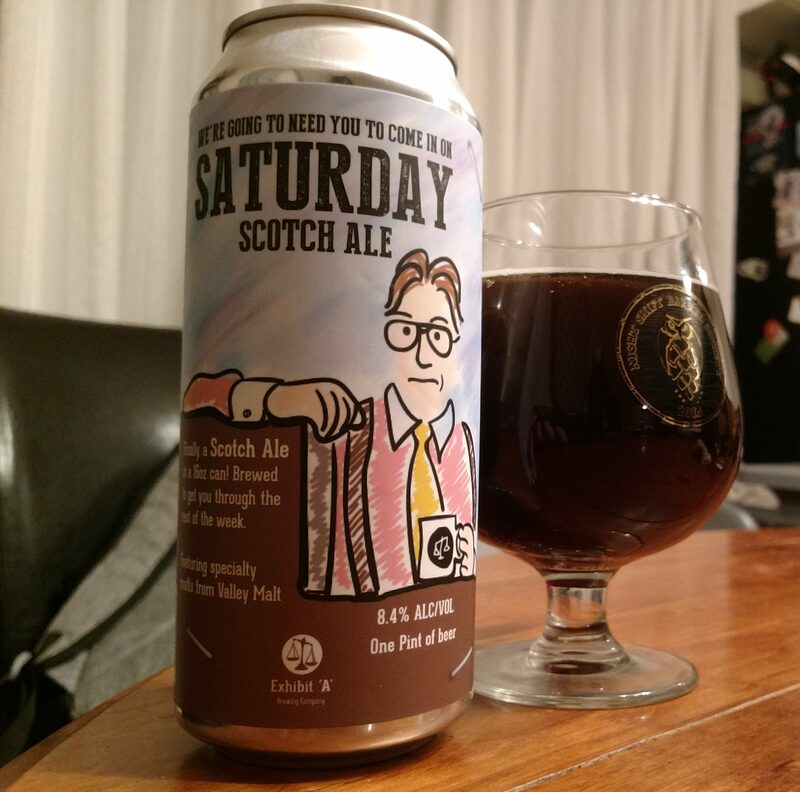 It happens every few years or so that the two events coincide, so I wanted to make sure I had a beer suitable for both celebrating my birthday and watching the game. Since I was sharing the day, this seemed like an excellent choice. Description: The brewery’s official description lists this as a rich Imperial Stout infused with orange-chocolate flavors. Read more about it here. Appearance: Thick black body with a layer of tan foam up top. Smell: Oranges mixed with roasted malts and a little bit of heat. Taste: Rich, creamy malts upfront mixed with notes of orange zest and bittersweet chocolate. The orange and chocolate combined seamlessly around mid-sip where the beer also started taking on hints of roasted coffee. The finish was a roasty combination of the aforementioned malts, orange, and chocolate mixed with a nice bit of heat for good measure. Very smooth and well-blended flavors throughout. Mouthfeel: Thick and smooth with a very low-level of carbonation. Hype: This was a (presumably pricey) gift beer from a very well-regarded brewery, so I did have high hopes for it. Overall: I enjoyed this a lot. The orange and chocolate really added something extra to this beer, taking what tasted like an excellent base stout to another level. Very, very well done. Purchased shortly after it was bottled back in December 2016, for one reason or another I never got around to drinking this until the other day. 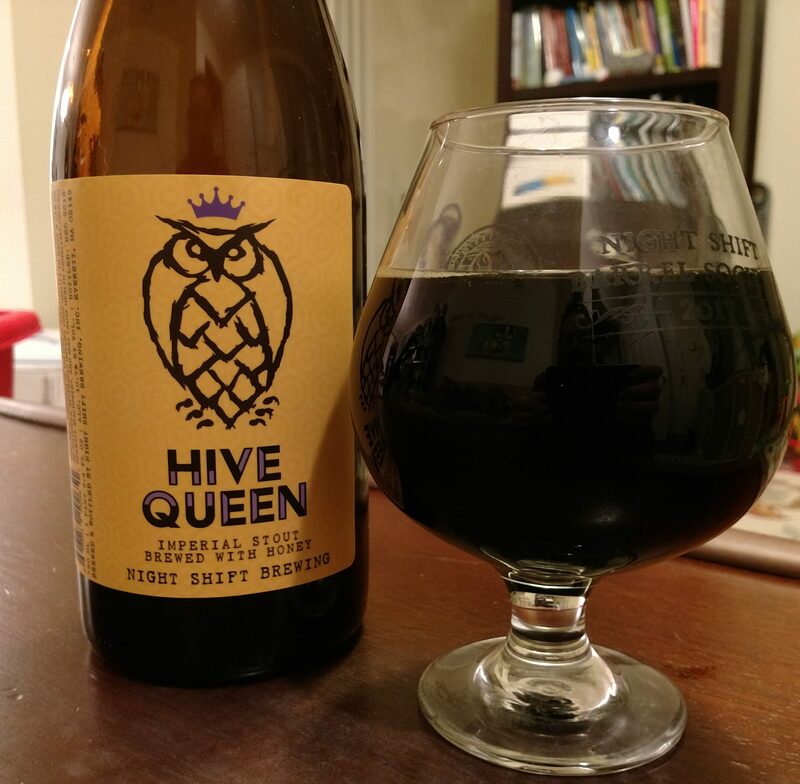 Description: Bottled in December 2016, this Imperial Stout was brewed with honey to give it a bit of extra sweetness and body. An old tweet from that time informed me that it cost $12 for the bottle. Appearance: Black/dark cola brown body with wisps of light lacing up top. Smell: Rich dark malt and lingering notes of honey. Taste: Opened with rich dark malts before getting progressively more roasty. The beer finished with subtle honey and moderate amount of heat mixing into what had become an elevated roast coffee flavor. Aftertaste was a boozy mix of honey, bitterness, and roasted coffee. Mouthfeel: On the thicker side with low carbonation. Hype: This had been released to some fanfare around a time I recall the brewery putting a number of well received stouts. I was also happy to finally get to open this after seeing it in my fridge for so many months. Overall: Unfortunately the wait wasn’t really worth it for me as I was not a fan. The beer was a bit roastier than I typically prefer, though I was actually fine with that until the finish set in. I felt like the beer unraveled at this point as the competing flavors and noticeable alcohol did not come together well. I also found myself wishing that the honey took on more of a role throughout, though I can’t say for sure if it had originally or not. I’ve been having some pretty mixed luck with my review beers this year, but I do expect to start turning that around real soon.